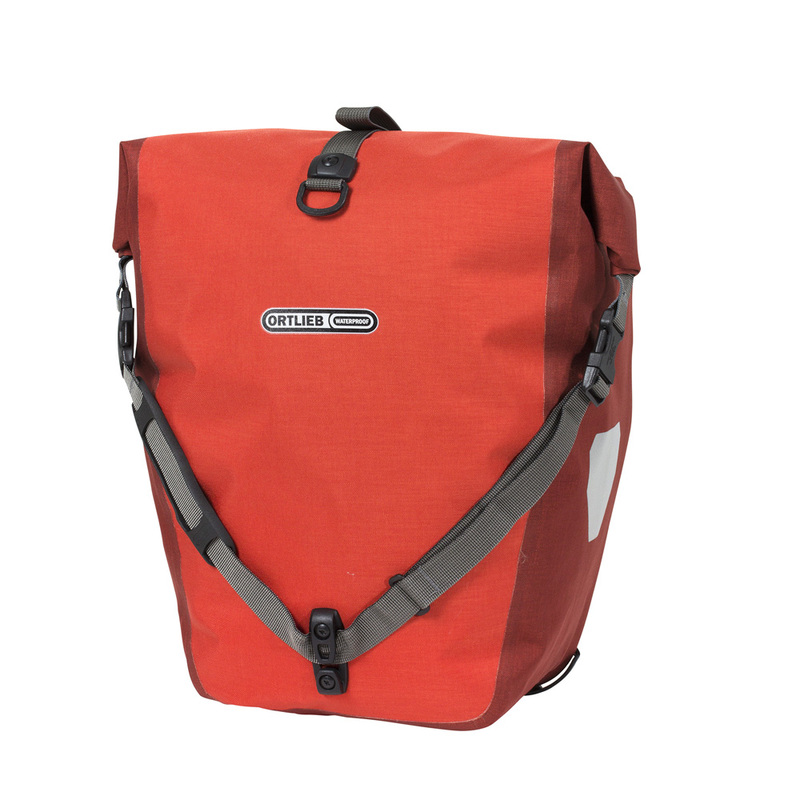 Ortlieb Back Roller Plus waterproof panniers are terrific, expedition-quality rear panniers with a roll-top closure. These bags are made of lightweight Cordura fabric and offer a large carrying capacity. The QL2.1 mounting system with Quick Lock retractable hooks make loading and unloading a quick and easy transition. These panniers are also compatible with most racks and offer a shoulder strap for easy travel while off the bike. Maximize your carrying capacity by coupling these bags with the Front Roller Plus panniers. Haul your cargo anywhere with these versatile panniers. Use of high-frequency welding to meet the highest of waterproofing specifications. Shoulder straps integrate into the roll closure system for easy accessibility. Don't get to use them until this Spring. This pannier is such an improvement over my old ones. Super light and water tight. Easy to mount and dismount from the rack. Love it! I've only had these bags for 2 weeks but so far they're fantastic! Plenty of room for a change of clothes for work and lunch. They do add a bit of weight to the rear end along with the rack. They are easy to install and adjust. Easy to remove and put back on. I would highly recommend. I'm the envy of all my bike buddies now. They all want rear packs. Will eventually get a set for the wife's bike.